We will customize a swim necklace for your high school. 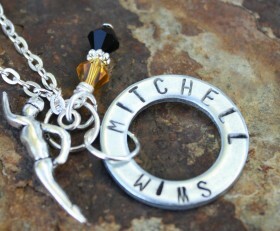 The round ring is custom stamped with the name of your school at the top and the bottom says Swim. 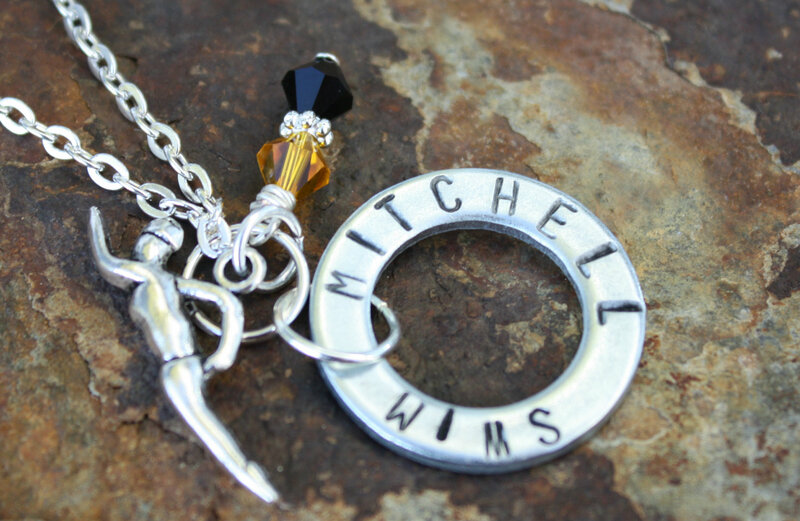 A swimmer charm is attached along with Swarovski crystals in your school’s colors. Categories: High School Teams, Shop, Sports.